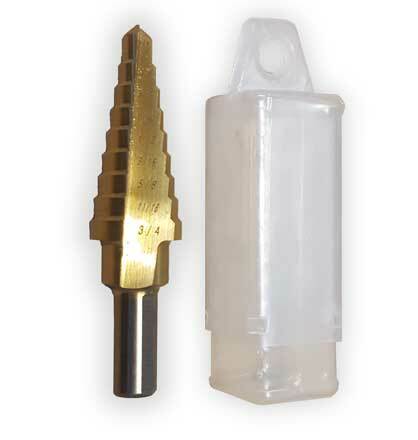 Include Step Drill Bit for Installation? Already Own a Piranha Tooth Bar? 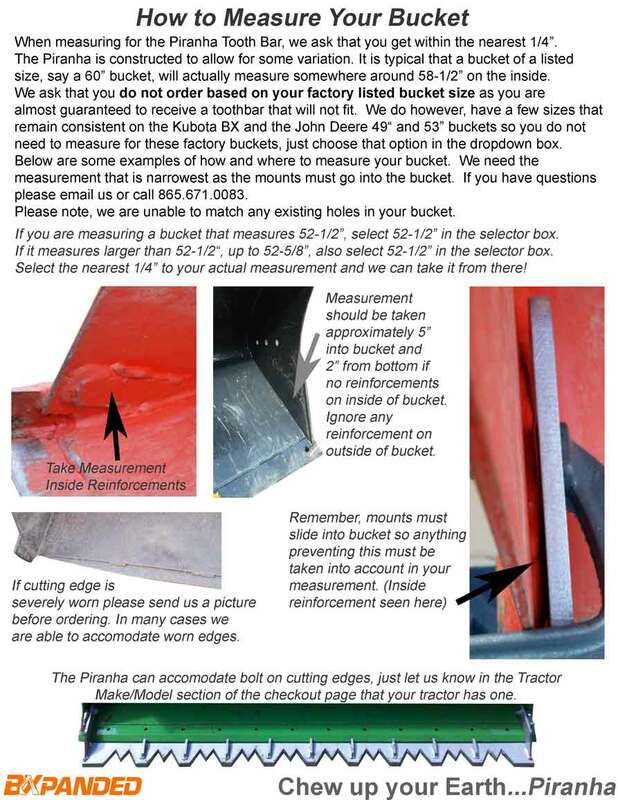 Anything Special About Your Bucket? The Piranha Straight Bar can take some serious abuse! It’s 1/2" thick steel with an angled leading edge and finished in tough hammered finish silver; built to protect your expensive bucket and extend wear life. 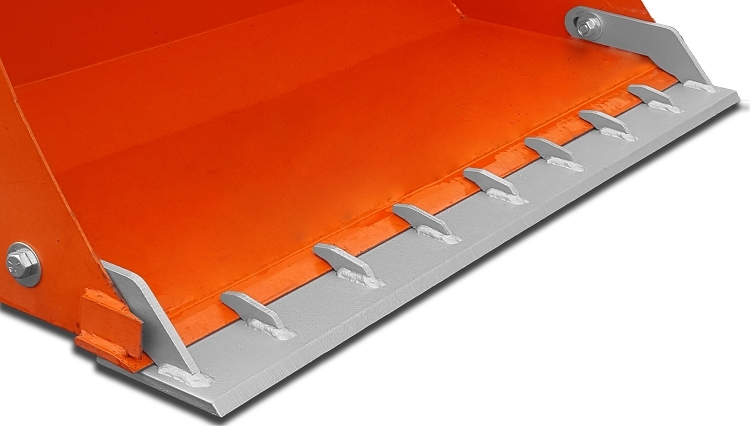 Typically used for snow removal, grading, and other tasks where a smooth bucket edge is desired. It comes with complete easy to follow installation instructions and all necessary hardware. 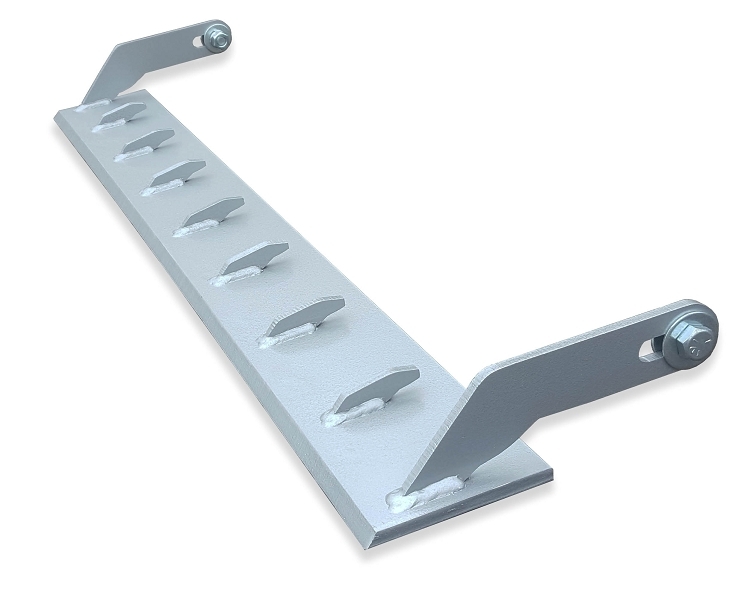 The Straight Bar mounts with a single bolt on each side so it can be removed or interchanged with the Piranha Tooth Bar in a matter of minutes. If you have the Piranha Tooth Bar already, let us know above so we can look up your order to ensure we build it with the same size mounts. I have a BX23s and this blade fit perfectly out of the box. It does not add enough weight to effect lifting performance, but is THICK and STRONG. BXPANDED offers a step bit for your drill for a few bucks and I did both holes and had it mounted in about 5 minutes using a cordless drill. Adds a TON of stregth to thin factory bucket. Used on my Massey Ferguson 1020 with a 4' bucket. Hooked on in no time and worked great for digging out the side of a hill to install a second culvert on our property. Built tough, have hit some big rocks at our property and didn't make a dent in the bar. Also makes it easier for moving dirt/gravel piles around. I leave it attached except in the winter when I use the tractor to plow. Once the holes are drilled it takes about 5 minutes to install or take off. Well worth the money. Bought one last winter works great as ice scraper for 1200' driveway. Couldn't even see any wear on it. Money well spent. Have Piranha Bar for summer and Straight Bar for winter. Bought one for my L3901 and love it! Get one! !